Onyx: Otherworldly black with creamy pearl. 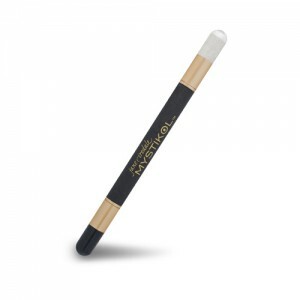 A totally new kind of eyeliner and highlighter that creates definition around the eye for a soft, smoky eye effect. A creamy powder formula that won’t fade, crease or smear. Hypoallergenic, dermatologist tested and always formulated with exclusive skin care ingredients, Mystikol is safe for even the most sensitive eyes.